Every year for the last 5 years we have gone away as a family on a villa holiday somewhere in either Spain or Cyprus. Mum, Dad, Brother, Sister, myself and any other halves that us children might have had during the time. It's something I look forward to every year, as family mean everything to me and living a face-paced busy lifestyle, I don't get t spend as much time with them as I would like. So going away for a week or two, where we can all relax and spend time together is priceless. This year we headed off to Menorca in Spain for 2 weeks for a villa holiday in beach the town of Binibeca Vell. Menorca is part of Spains trio of islands in the Balearic Sea alongside Ibiza and Mallorca. You can fly into Mahon (the only airport in Menorca) from London in just under 2 hours making it extremely accessible for short breaks as well as those travelling with young children. Menorca is known to be the quieter of the 3 Balearic islands and from my experience that is true, however it has an inner beauty that I wasn't expecting. 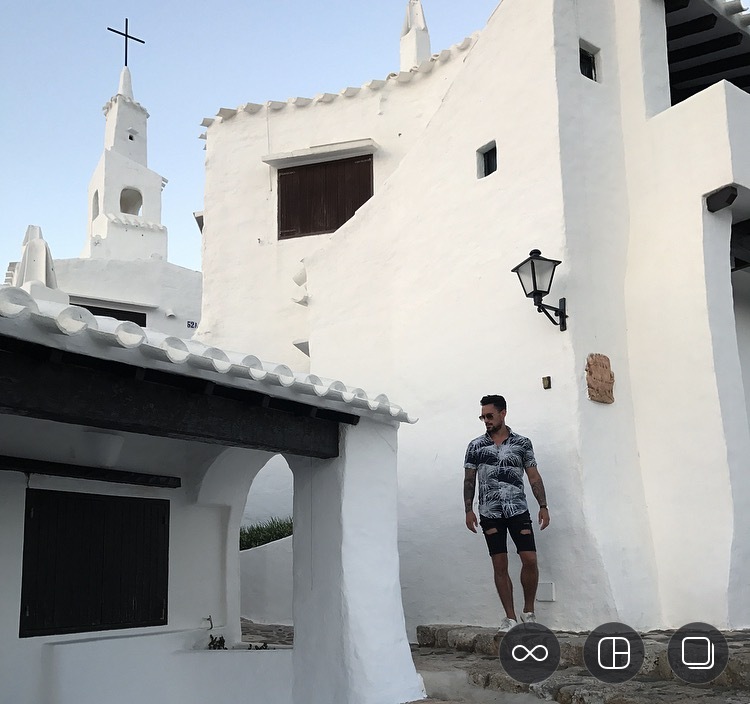 From the *instagrammable white buildings of Binibeca Vell to small beaches only accessible to those willing to climb over rocks, Menorca is full of hidden gems. Situated in the south of the island, this quaint port and town is littered with a coastline of rocks. A small, sleepy town painted white with small narrow cobble streets. In the coves adjacent to the town you can find some incredible sandy beaches. Nightlife in this town is quiet, but I found the most incredible Gin Slush cocktails in a bar called BB Cocktail Bar. Head upstairs for amazing sunset views. From south of the Menorcan island all the way to the north is only 45 minutes. About 15 minutes up the coast from Binibeca is the Cales Coves. You'll have to park up your car before walking about 10 minutes to the Coves and beach area. Cales Coves are a walkers dream, exploring coves in a picturesque setting. The beach itself isn't really one to spend all day at as it is a little muddy and there are no refreshments or facilities. However don't come here for sunbathing, come for appreciation of natural beauty. This location is the furthest south and only 10 minutes from Binibeca. A more built up area with a few restaurants and bars as well as a long sandy beach perfect for families. The sea here is calm with small waves, exceptional for swimming. This is a beach you could spend all day at. Only a short 'around the croner' drive from Binibeca Vell, this could be the worlds tiniest beach but it packs a massive punch in tranquility. Park up directly opposite the beach and walk down a steep pathway and natural steps in the cliff (unsuitable for buggies) to get to this secluded beach. 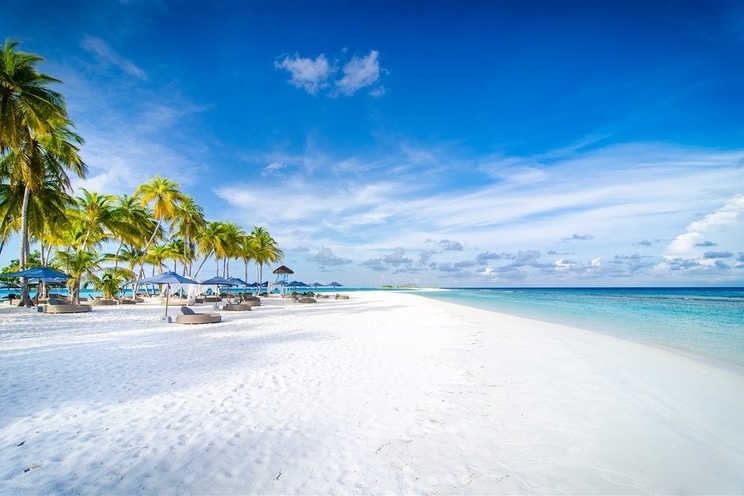 The beach is probably only 3 metres wide so there is little space for sunbathing but you can lay down your towel if you get there early enough, ideally before 10am to catch the best spots. Remember a cool box of supplies as this beach has no shops. In the north-west of the island you'll find this medium sized beach, situated as many of the best beaches, in a national park. You can not park close to the beach, however there is a large carpark 15 minutes walk from the beach, which has simple facilities such as refreshments, toilets and a shower. This is a scenic beach with turquoise water, ideal for snorkelling, swimming and just relaxing. If beach life is not your thing and prefer the history, culture and familiarity of a city, then head to Ciutadella. Centred around the Cathedral de Santa Maria you'll find shopping, eating and drinking here to be major attractions. Spend time sight-seeing around this city and you'll be able to view some amazing historical buildings in this old city.